Documentary series charting the work of Argyll and Bute council. The programme meets the council workers going above and beyond to improve local lives. 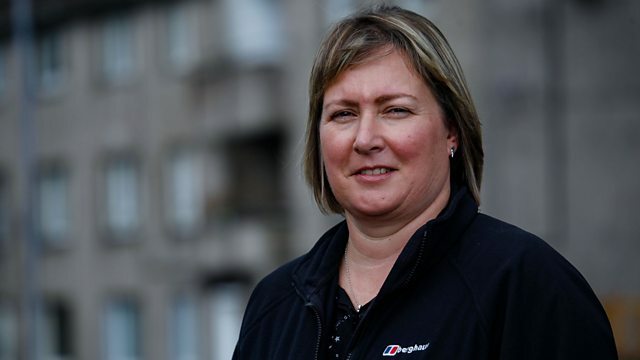 Councils across Scotland are in the midst of challenging budget cuts, and with higher demand than ever for public services, the pressure on local authorities has never been greater. From education to housing, repairing the roads and emptying our bins, this series will focus on the council services that illustrate the universal social issues and budget challenges that councils face every day across Scotland. With access to Argyll and Bute Council, where half of the population is concentrated in six towns and the rest scattered amongst rural communities and twenty three islands, we follow council staff on the front line as they deliver services to some of the UK's most remote areas. Filmed across some of Scotland's most breathtaking landscapes, we uncover the unsung heroes who travel hundreds of miles daily to bring care to their clients, island staff who work not one but sometimes six different council jobs and the amazing frontline workers supporting families in crisis. This series brings the unique challenges and joys of working hundreds of miles from the nearest city to provide those services in difficult times. In the final episode of this three-part series, we meet the council workers going above and beyond to improve local lives. The Learning Disability team in Lochgilphead help a client with Down's Syndrome towards his dream of becoming a club DJ. In Oban, a homelessness worker comes to the aid of a young mother in crisis who needs a permanent home. And in Dunoon, a coastal regeneration project leads to a surprise discovery - and a fascinating link to the area's past.